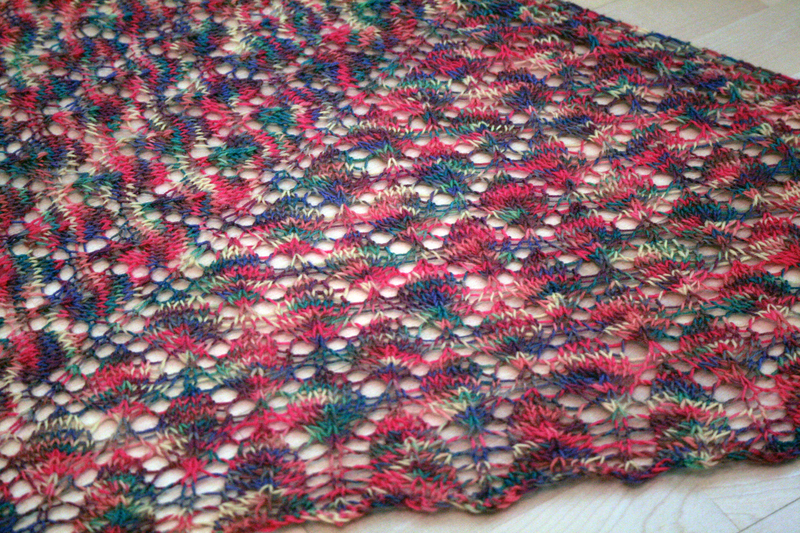 At long last I have finally finished my Lace Leaf Shawl! 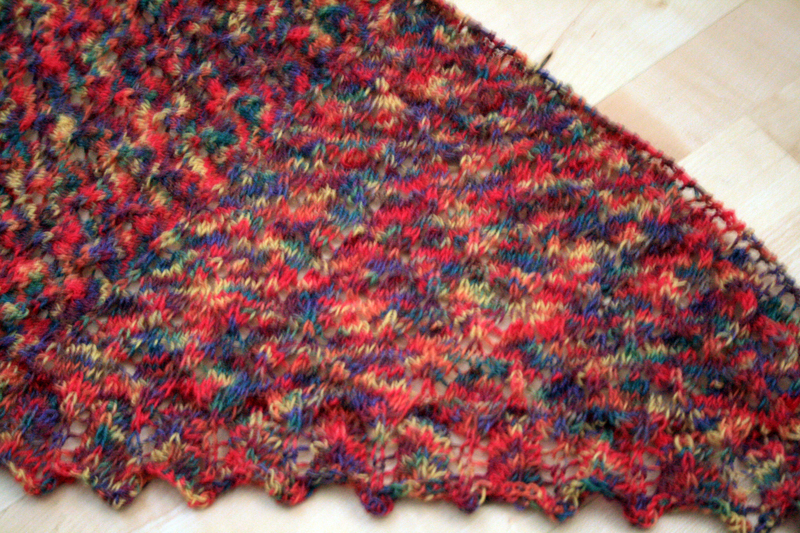 I have long been an admirer of a certain blogger who makes to most gorgeous shawls, this summer swap shawl is my favourite. 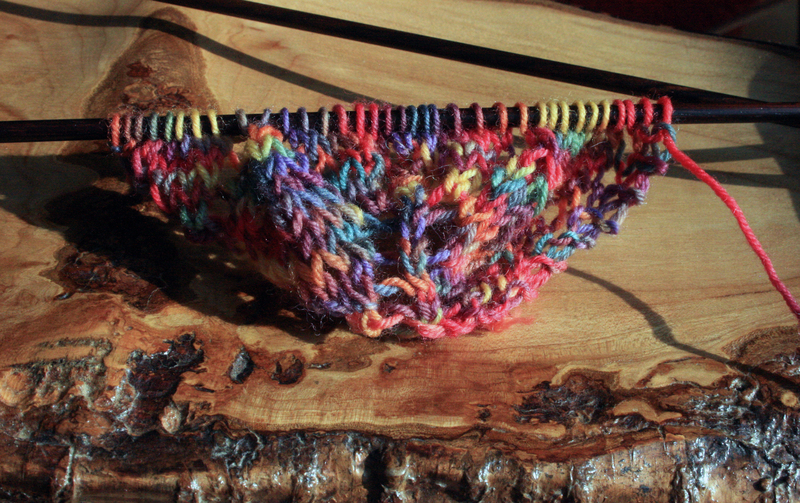 Anyway, way way back in March I was thrilled when Mollie announced she would do a KAL for one of her favourite shawl patterns, the camaraderie and guidance would help me through my first shawl challenge. It started ok but I found I really had to concentrate on the pattern, it is an 8 row repeat and you increase on each row so if you miss calculate you don’t have enough stitches to form the next pattern row. It took me ages to be able to read the pattern to ensure it was going right. But perseverance (and a bit of frogging) paid off in the end! The pattern is so pretty but just in case you ever think about not blocking take a look at this transformation. 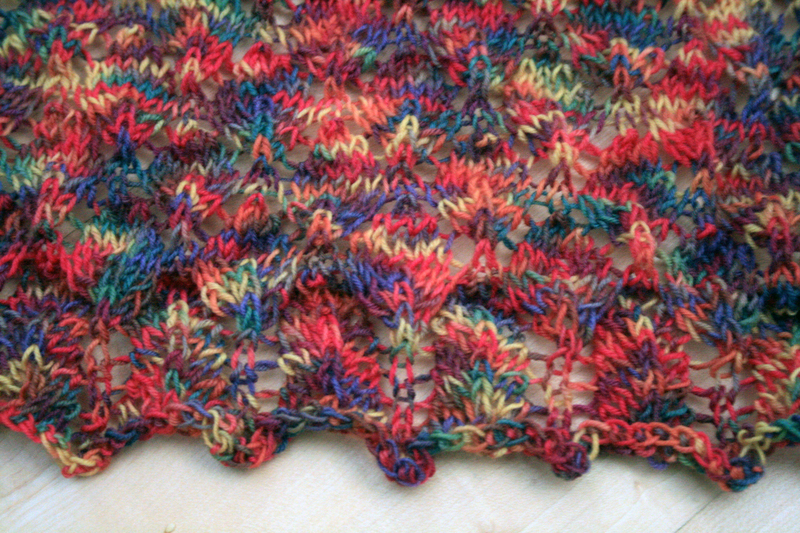 Above you see the finished piece pre blocking, below is a closer shot of the wavy border. And here is the blocked version. Isn’t it amazing, thediffernce in the detail. 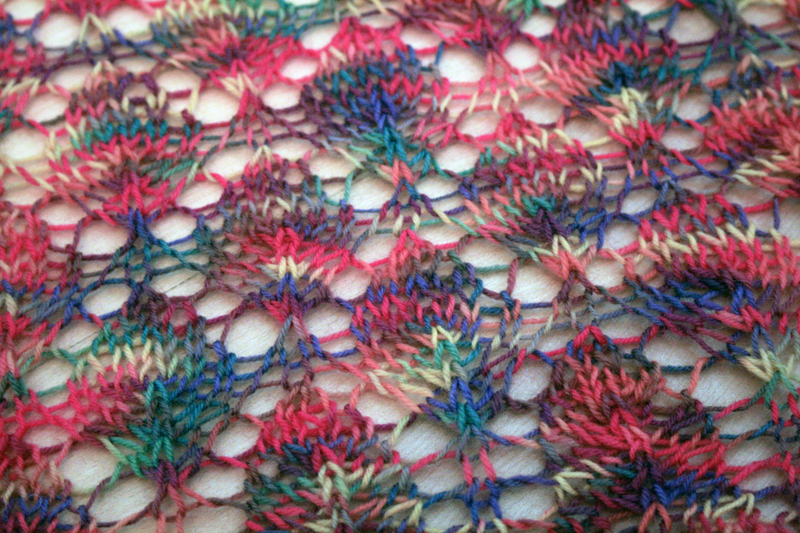 A close up of the border shows the wavy border at it’s best. 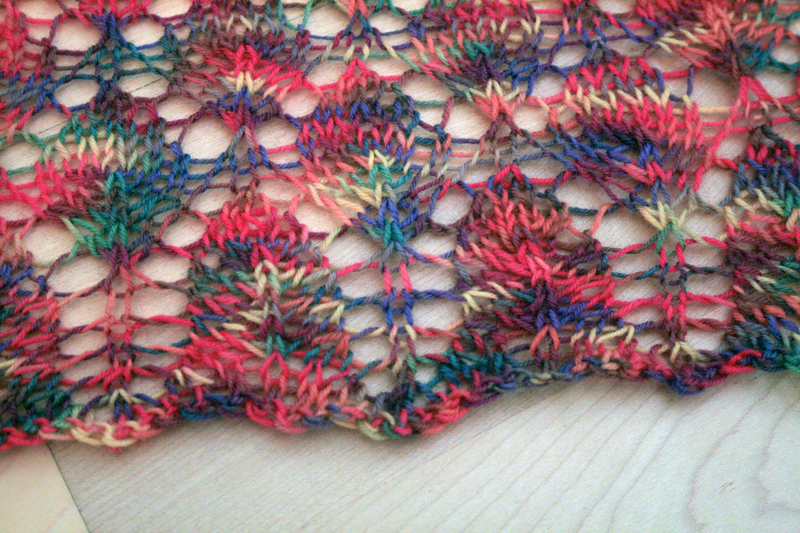 If you fancy making your own pretty shawl you can start by visiting Mollie.